Introducing Rough Country's redesigned Adjustable Track-Bar for select Jeep kits. 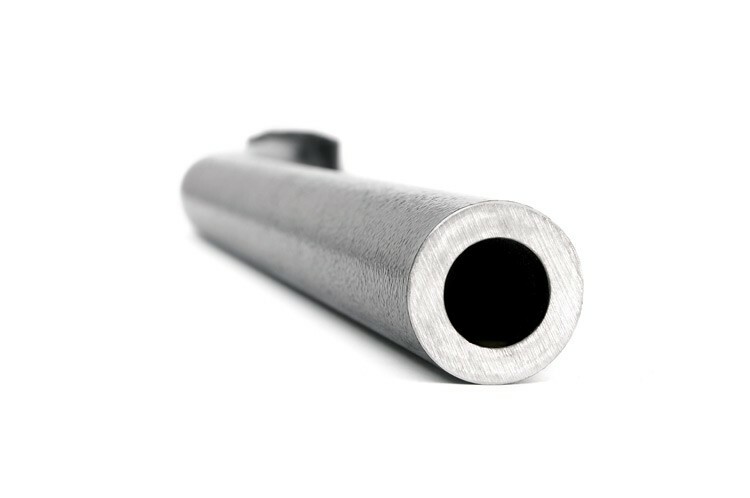 This redesigned Track-bar is now 33% stronger, featuring a 1.25in outer diameter and a 0.25in thick wall tube for heavy-duty durability. 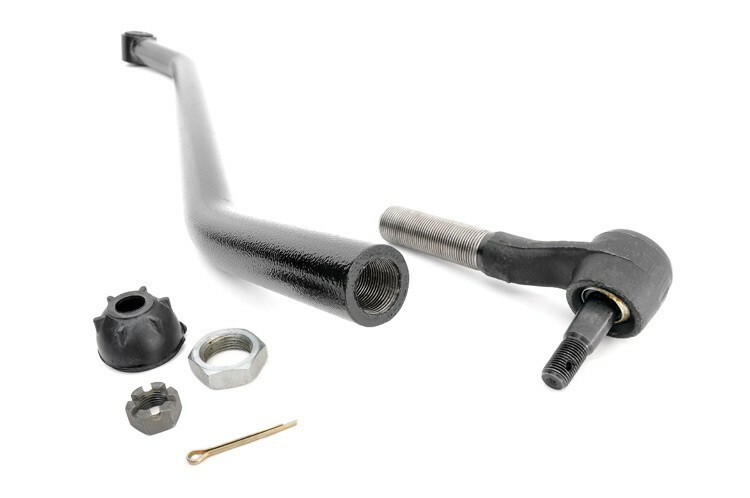 A new and improved Heavy Duty tie rod end now offers a greater range of movement to help keep your axle at the optimum angle in off-road conditions while Clevite rubber bushings ensure maximum vibration dampening and promote a longer overall lifespan for the part. Thick 0.25in wall tubing for heavy-duty durability. Larger more durable tie rod end than factory. Features a Clevite brand OEM style rubber bushing. Recommended for models with 1.5in - 4.5in suspension lift kits.